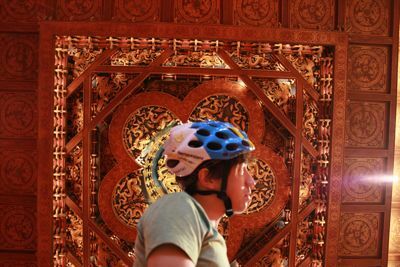 After plucking down serious cash for a Catlike helmet, I’m wearing it everywhere on the last day in Taiwan. I’m here at the Grand Hotel, Taipei. It’s been a crazy 8 days in Taiwan, I’ll tell you about it when I get back.